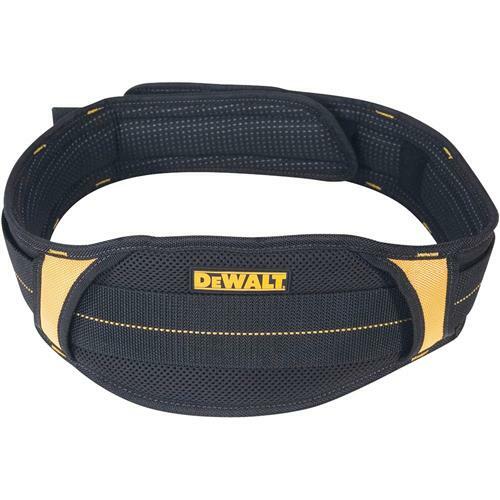 The DEWALT heavy duty 5" Padded Work Belt with Dri-lex® fabric keeps you cool and comfortable and comes with a double-tongue roller buckle which helps stabilize the belt. The integral loop material strip forms part of a fastening system that helps keep coordinated hook-backed pouches securely in place. Easily adjustable to fit waist sizes 29" to 46".